Hear that sound? 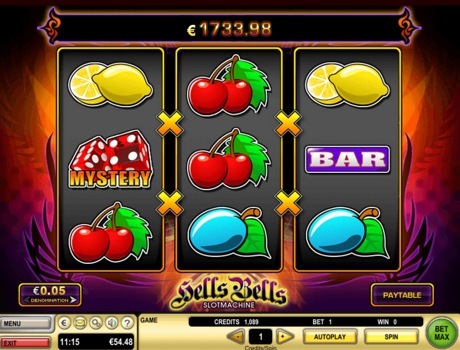 It's the ringing of Hells Bells, a hot and tempting 3-reel slot game. When matching symbols appear anywhere on the 3 reels, you win! The flaming bells are Wild symbols, making it even easier for you to achieve winning combinations. After each sizzling spin, you can take your infernal prize and run like a bat out of Hell or you can sweat it out in an optional round to double your cash prize.